The crystal clear and unpolluted skies of the Elqui Valley, east of La Serena, make this area a world famous spot for observing the universe. 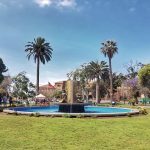 Lots of people come every year to gaze at the marvelous starry skies, and to take a peek through high tech telescopes at the Mamalluca Observatory, the Observatory del Pangue, or at one of the various other places. 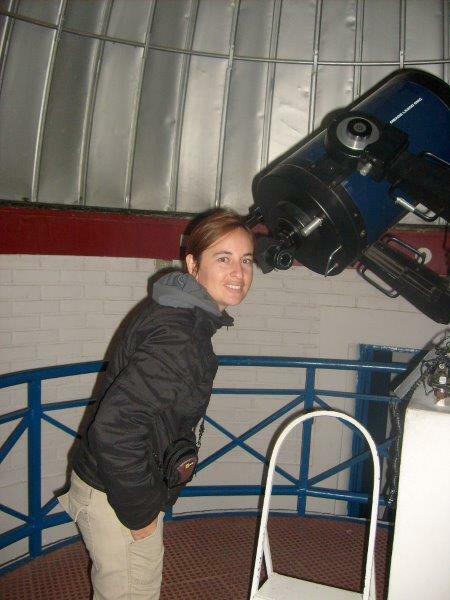 Star gazing at Mamalluca Observatory. The contrast of super dry mountains with an ultra green strip of vineyards and agricultural land in the middle is a very special sight. 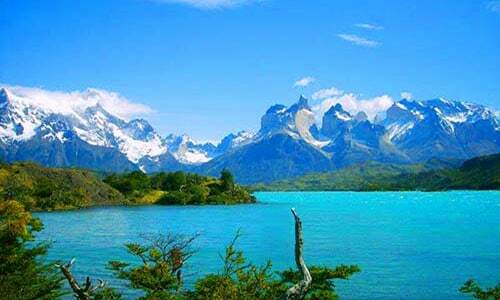 The beauty of the valley in combination with the hills and the nearby Andes mountains make it a perfect location for outdoor activities like horseback riding, hiking and mountain biking. 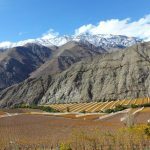 The Elqui Valley is covered with vineyards, where grapes are normally used to produce delicious pisco, the famous alcoholic drink from Chile. 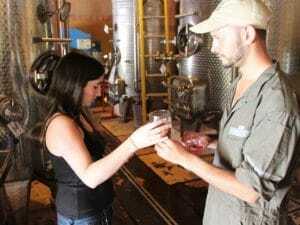 Visit the modern Capel distillery only 1,5km from Vicuña, it’s the biggest producer in Chile, or taste this magic potion at a smaller artisan distillery like Los Nichos in the Pisco Elqui area. 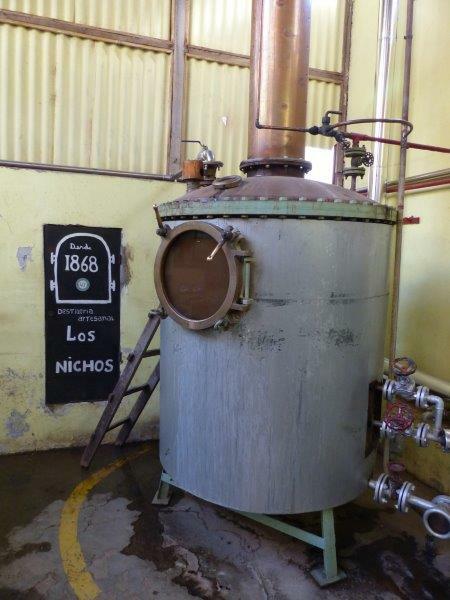 Fundo Los Nichos: the oldest pisco distillery of Chile! 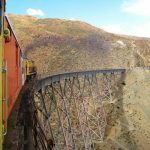 The Elqui Valley is easy to reach by bus from La Serena. 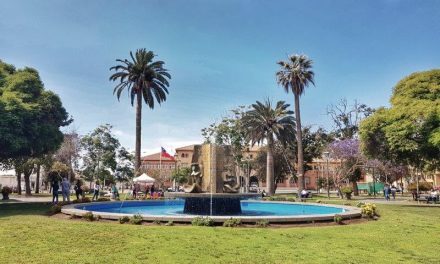 You can stay in Vicuña, the biggest town in the valley, in Pisco Elqui higher up in the mountains or in one of the smaller quiet villages in between like La Campana. Entering the valley it gradually gets narrower and more spectacular when getting closer to the high Andes. 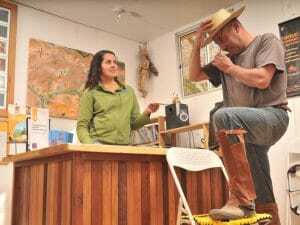 Especially in Pisco Elqui yoga classes, meditation, massage, tarot reading, astrology and reiki are all available for people who are into spiritual growth and natural healing. At Montegrande, where the Chilean Literature Nobel Prize winner Gabriela Mistral grew up, you can visit the Museum and her tomb. ATTENTION: banks and gas station only in Vicuña, not in Pisco Elqui! 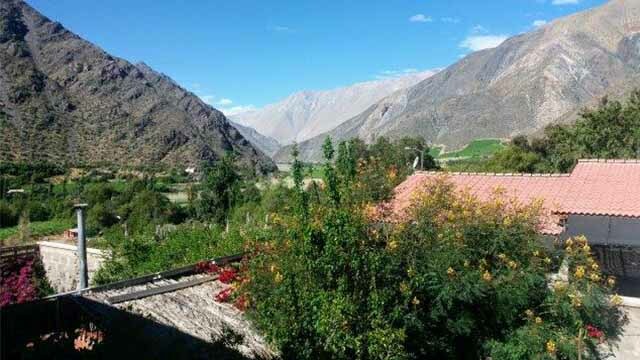 Hostal Al Yaras is located in the heart of the Elqui valley in a tiny village called La Campana, surrounded by vineyards & orchards. 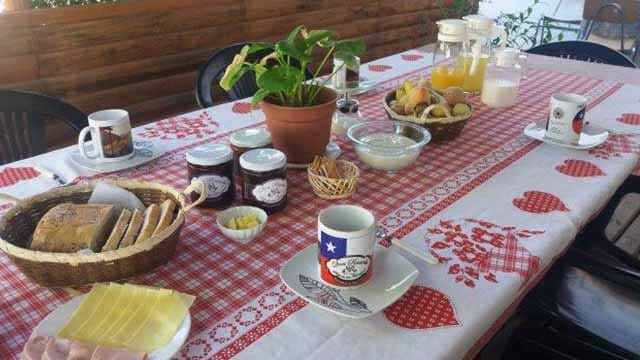 The included breakfast is delicious and generous, everything is spotlessly clean and the warm and friendly owners and staff will make you feel at home. It’s a wonderful place with a fully equipped kitchen, pretty gardens, picnic spots and a spacious roof top terrace to admire the Elqui Valley’s breathtaking starry skies. 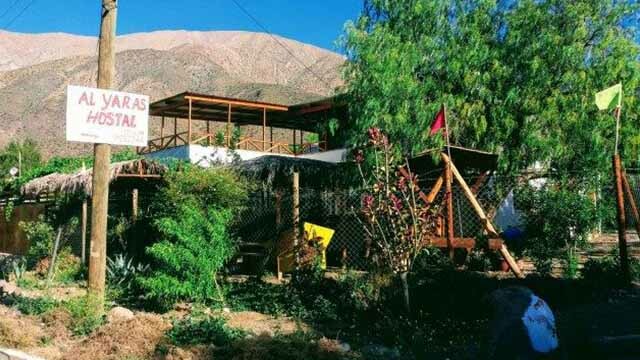 Hostal Al Yaras & Astrocamping is perfect to relax, to revitalize your body & mind ( sign up for their special therapies) and it’s the perfect base to explore the gorgeous Elqui Valley. 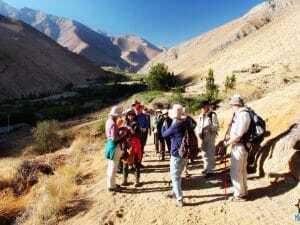 You’re only 1km away from the Elqui river and near to many pisco distilleries & artisan beer breweries, archeological sites with petroglyphs, observatories … The owners will also help you organize your treks in the region’s spectacular mountains. 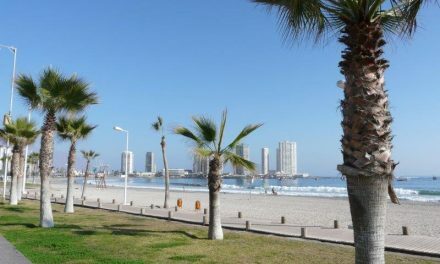 Hostal Al Yaras is very easy to get to with one of the many daily buses from La Serena. 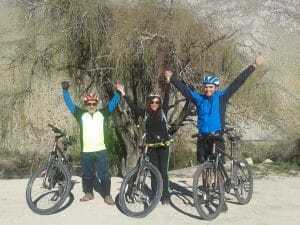 It’s located at km 72.5 on ruta 41, 9km passed Vicuña. 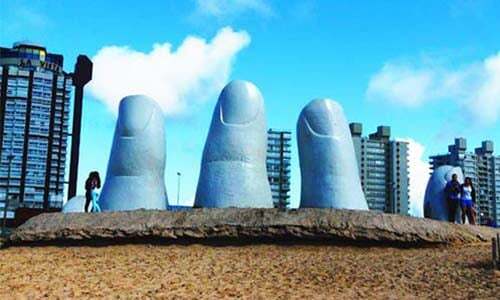 Opened all year, laundry service available and Spanish, English, French & Portuguese spoken. There are three spacious and splendid apartments to choose from at Balcones de Pisco Elqui, conveniently located in the heart of the village. 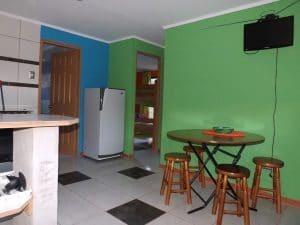 The apartments have a kitchen, living room, satellite TV, bathroom and towels & bed linnen included. 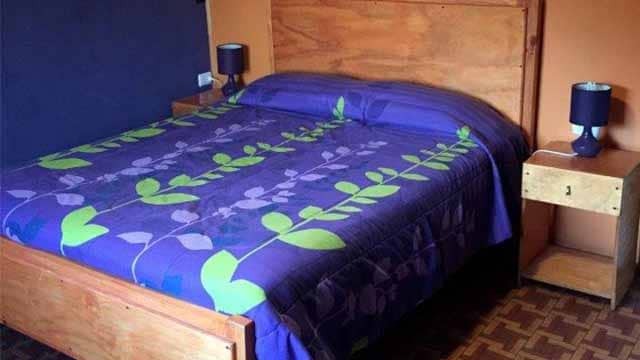 If you’re looking for a dorm bed you’ll pamper yourself by staying here. Why? Because They use one of the apartments as a sixbed dorm. The other two impressive apartments are private and equipped for two to four people. Their exquisite brekkie (different choices) is optional and they also have a pisco-only in-house bar: Yabadabadou! Los Balcones de Pisco Elqui has also a travel agency called TURISMO EL QUIJOTE. 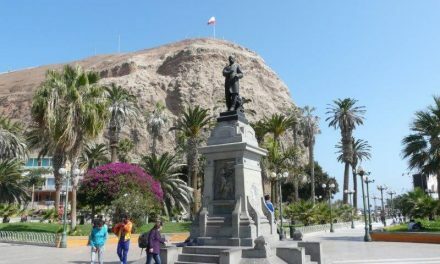 Activities and tours: No problem, El Quijote is your man! 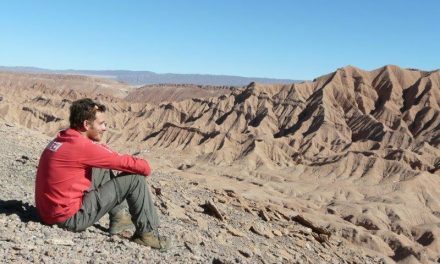 Astronomy, artisan and pisco tours, Gabriela Mistral, bike rental, horseback riding, trekking, exploring the Alcohuaz and Cochiguaz valleys … He and his team are real area experts! Open all year, also English spoken. 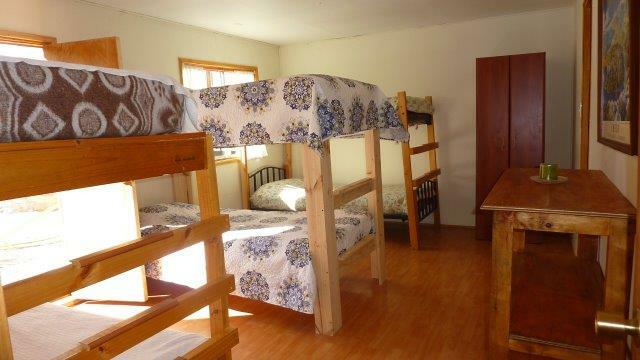 Turismo Migrantes is an excellent agency for exploring the stunning Elqui Valley and its surroundings. Awarded with the government’s ‘tourism quality’ label, a first-class service is guaranteed. 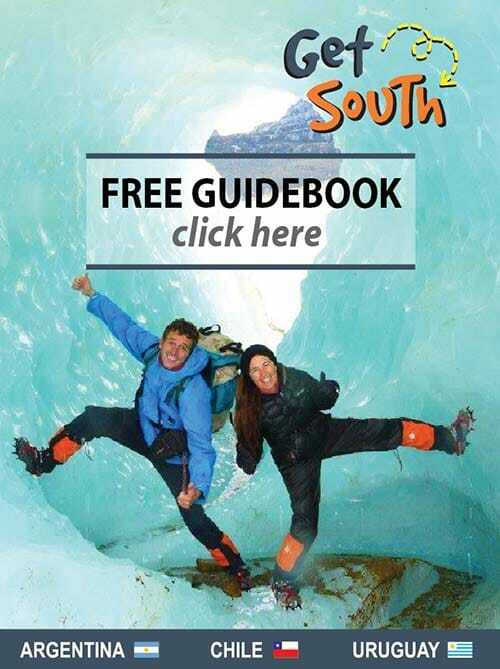 Barbara, the owner, works with professional bilingual guides and has created all her tours herself. 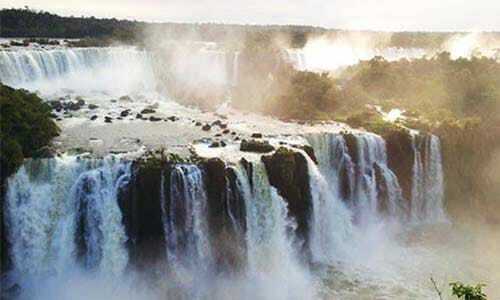 One of their prides is taking you to less conventional places, to special “secret” spots with few tourists. 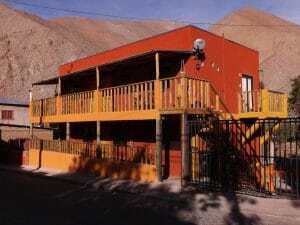 Office located at 100m from Pisco Elqui’s plaza. Operating all year.